SUPER RARE!! 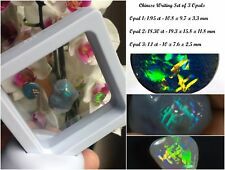 AUSTRALIAN OPAL SET OF 3 WITH CHINESE WRITING PATTERN - AMAZING! 50*Chinese Xuan Paper Writing Brush Calligraphic Practice Learnering 28?????? 6PCs Wool Hair Chinese Traditional Calligraphy Brown White Writing Brush Pen ?